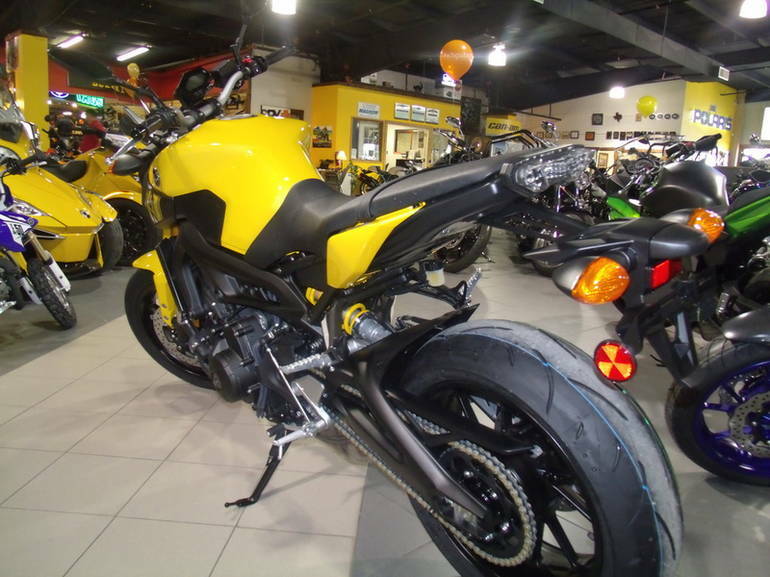 2015 Yamaha FZ-09, 2015 Yamaha® FZ-09 Triple Threat The FZ-09 combines a powerful 850cc, triple cylinder engine with light handling all at a great value. 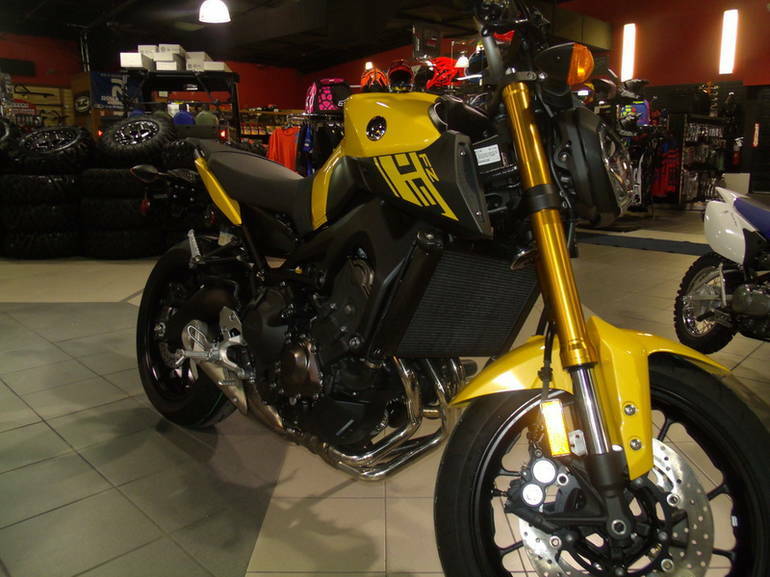 Features may include: 847cc liquid-cooled, in-line 3-cylinder, DOHC, 12-valve engine with fuel injection. 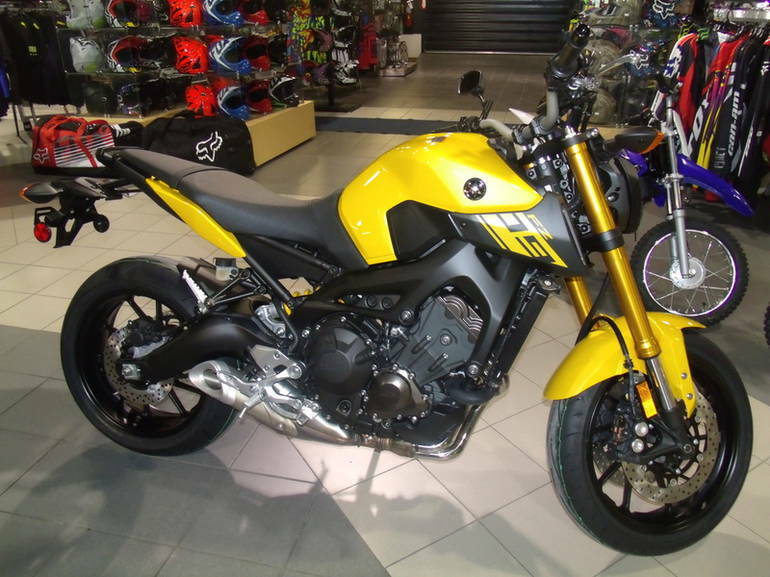 This FZ-09 engine combines advanced high tech components including YCC-T® and Yamaha D-Mode, with a crossplane concept crankshaft to deliver an exciting, torquey and quick-revving engine character. Crossplane Crankshaft Concept provides linear torque development in response to the rider s throttle input. Among the advantages of the in-line 3-cylinder engine are: (1) linear torque development, (2) even firing intervals that provide smooth torque characteristics and a good feeling of power in the low to mid rpm range, (3) a light, slim and compact design, and (4) performance that combines the characteristics of both 2-cylinder and 4-cylinder engines. A 6-speed transmission has been adopted to match the engine. The transmission has optimized gear ratios that help to deliver engine torque efficiently. The result is a transmission that helps bring out more of the low- to mid-speed torque and excellent response characteristics. The ride-by-wire Yamaha Chip Controlled Throttle (YCC-T) system senses the slightest throttle input by the rider, relays the data to the ECU, which instantaneously calculates the ideal throttle valve opening based on engine rpm and throttle opening, and then sends commands to a servo-motor actuator that moves the throttle valve which actively controls the intake airflow volume. 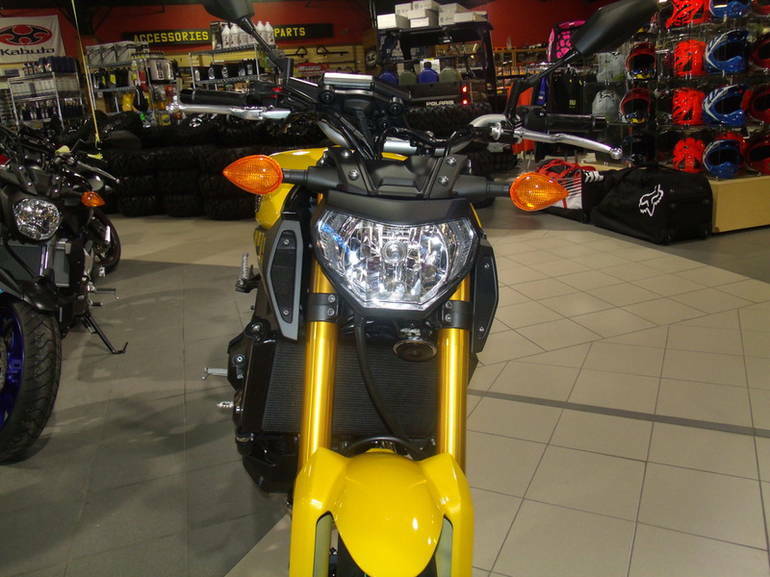 This is a technology contributing to the rider s feeling of torque and controllability from the 3-cylinder engine. 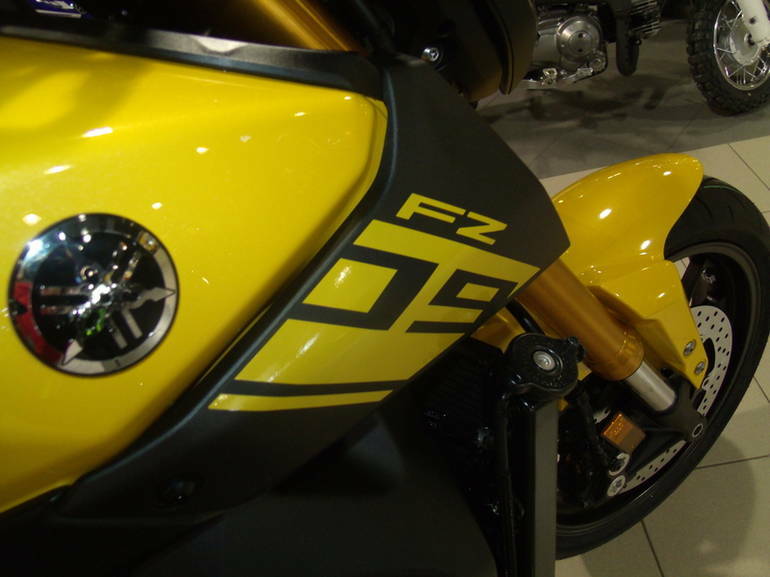 The FZ-09 is equipped with Yamaha D-MODE (or Drive Mode ) variable throttle control system to allow the rider to choose the optimum engine character for their riding situation. 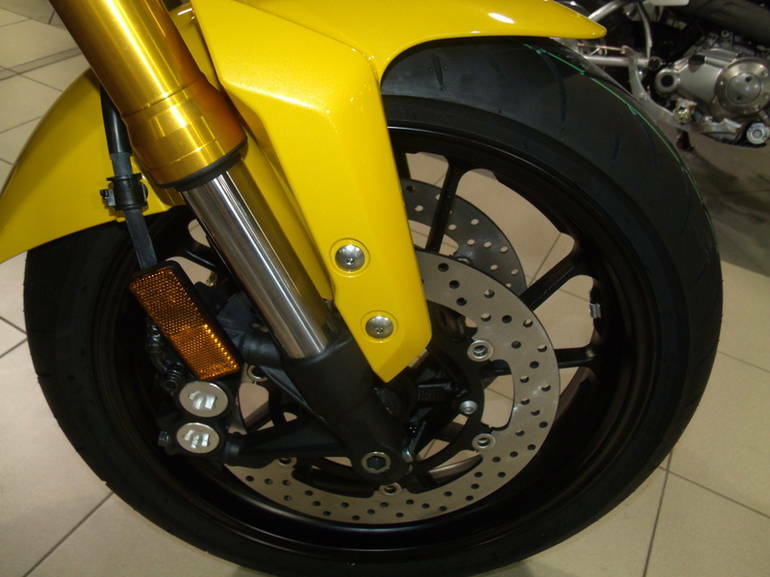 The rider can choose at will from three throttle valve control maps (Standard Mode, A Mode, and B Mode) for different performance characteristics. Operation is performed by a button on the handlebars. 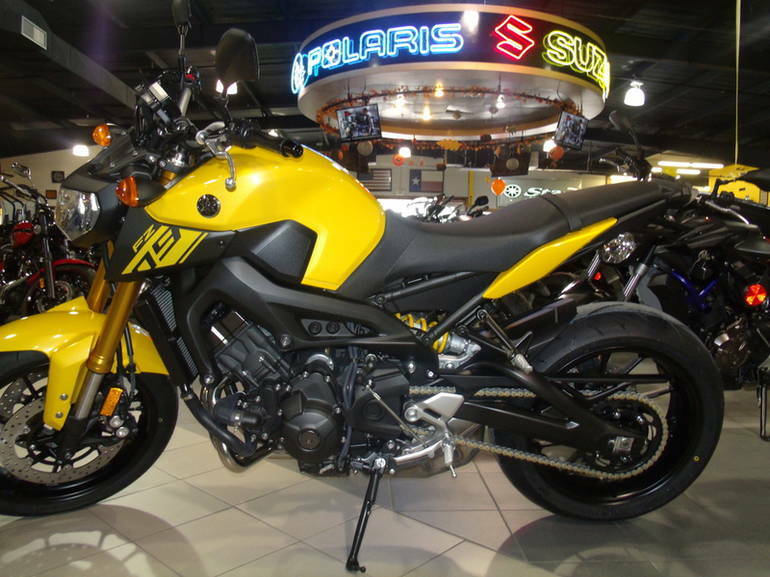 STD Mode is set to accommodate a wide range of riding conditions. 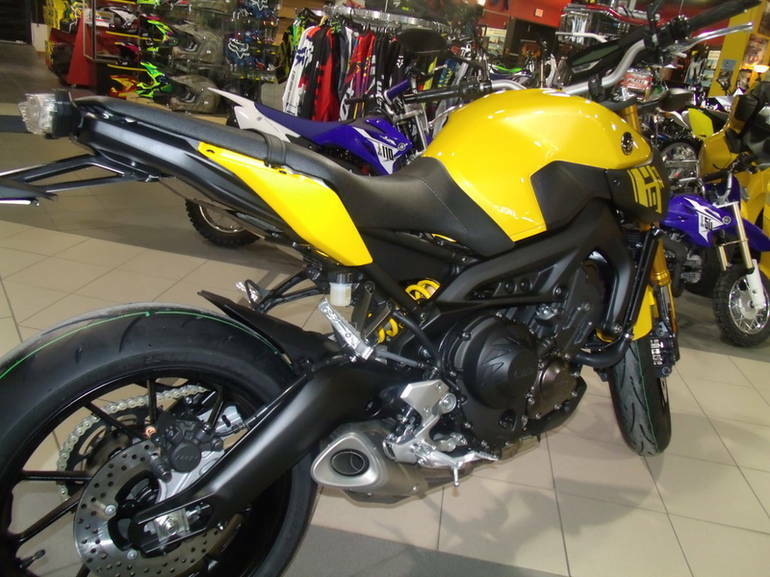 In this mode the rider can enjoy the 3-cylinder engine s linear torque feeling from low speeds all the way up to high speeds. A-Mode lets the rider enjoy sharper throttle response in the low-to mid-rpm range than the STD Mode. 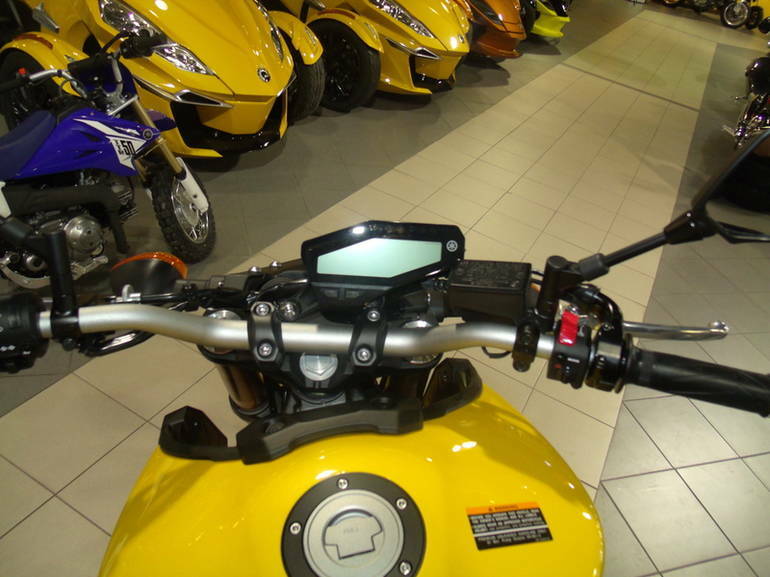 B-Mode lets the rider enjoy milder throttle response than the STD Mode for more relaxed power characteristics.